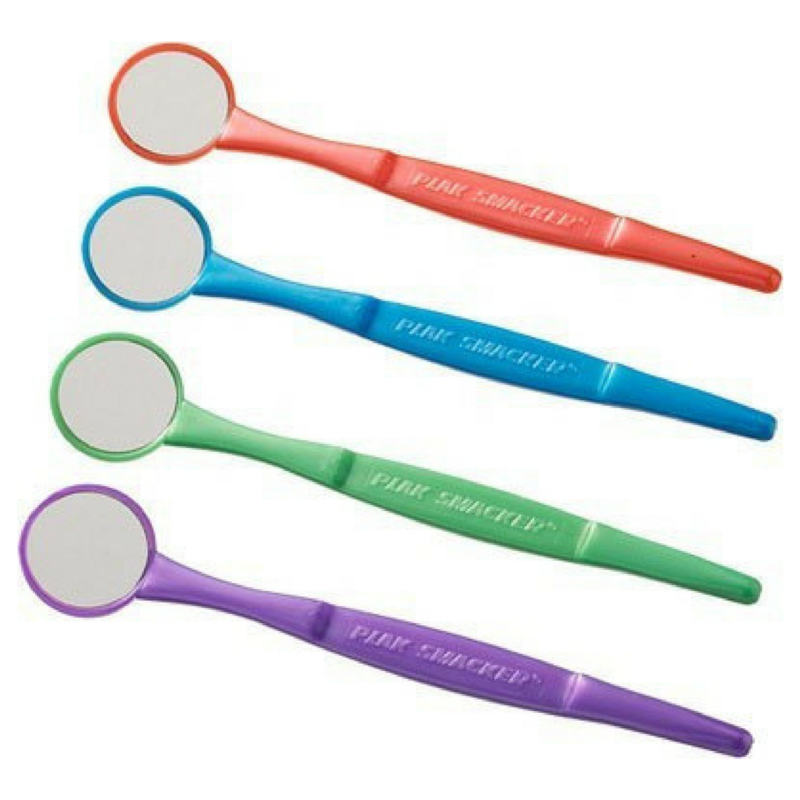 Individually wrapped Mouth Mirrors are great tools for helping orthodontic patients locate problem areas when applying wax and elastics. Used in conjunction with our disclosing tablets, they allow patients to inspect the inside of their mouths for areas missed while brushing. 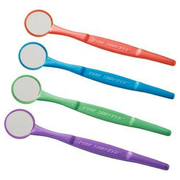 Mirrors come in an assortment of colors: red, blue, green and purple; minimum order of 1 box, 144 per box.